Bored of the same old Jdeveloper splash | They point the finger at me.. again! 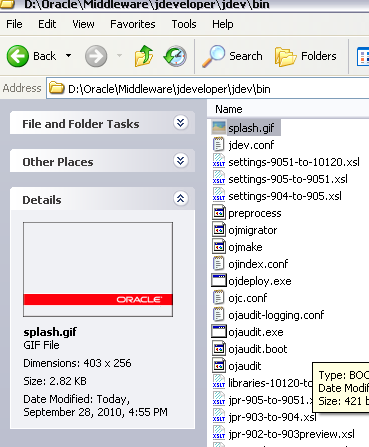 This entry was posted in JDeveloper and tagged bin, jdev, JDeveloper, screen, splash, splash screen, splash.gif on September 28, 2010 by vtkrishn. This is an ADF query. I have to implement a refresh functionality in ADF ui page such that if some CRUD operations happen directly at backend but not through ADF, Refresh must update AOs correspondingly , consistent with the backend. For example, If i am deleting a row from a table from the DB directly, The corresponding row should not be shown in the UI page upon refresh. Currently, I am unable to do so. Please explain the technique, I should use to achieve this.